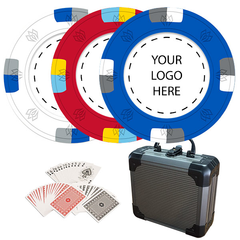 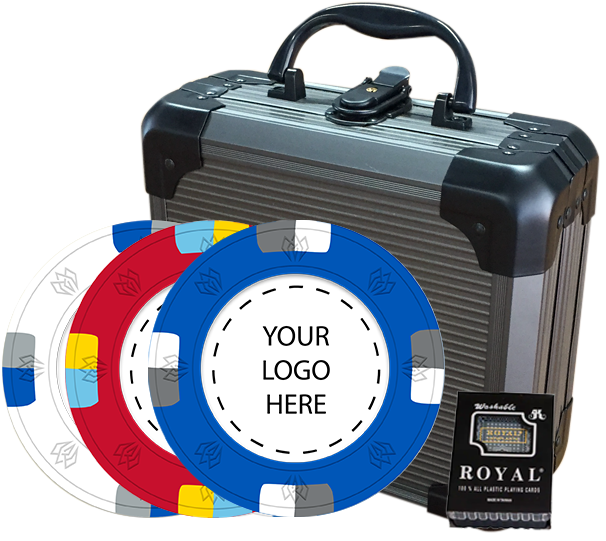 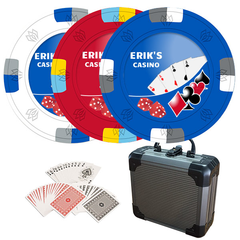 Fully customize your own 100 Chips Clay Poker Set with Gunmetal Case. 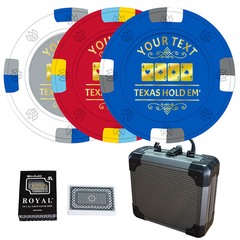 These chips are slightly heavier than our Composite Poker Chips. 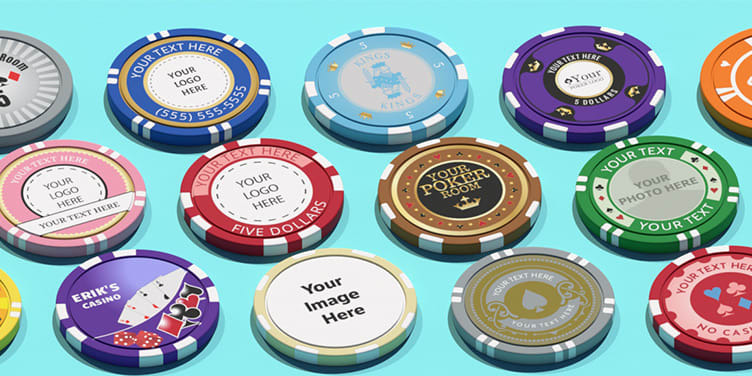 They feel softer and stack better. 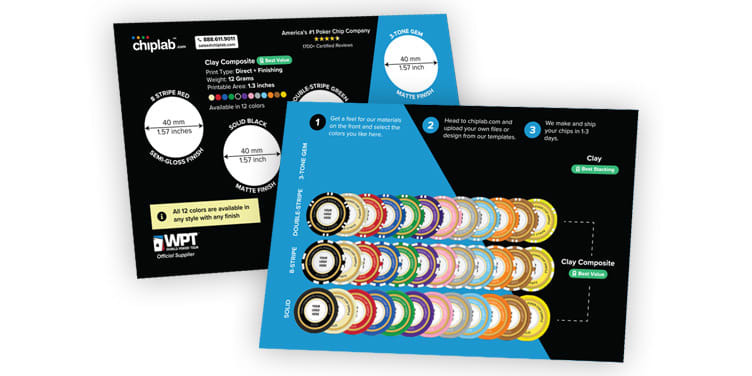 They have a 1 inch printable area.